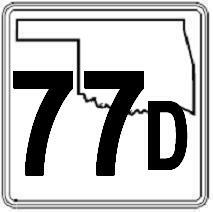 Oklahoma State Route 77D is a spur of U.S. Rt. 77 in Murray County. This runs between Turner Falls and Price Falls. Exact details of OK St Rt 77D are not avalible. 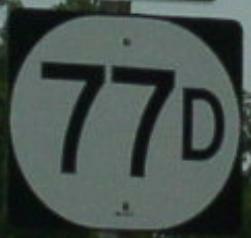 A guide marker on SB U.S. Rt. 77.